A few days ago, we have spotted an Intel special processor designed for the 40th anniversary of the 8086 processor. Today the processor has been announced by Intel. In addition, the company also announced that it will give away 8'086 of the processors in a sweepstakes. 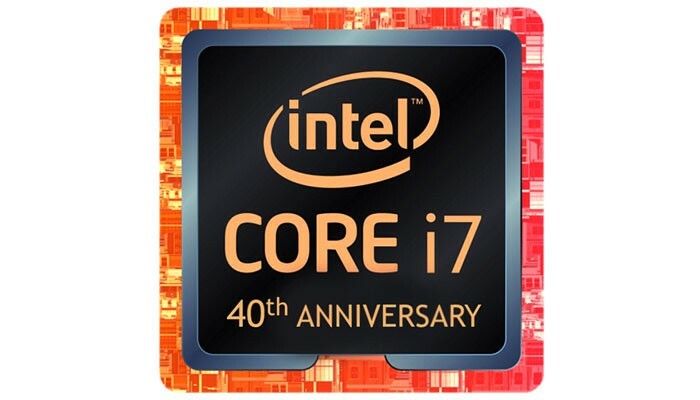 The Core i7-8086K is a respin of Coffee Lake-S and it comes with improved frequencies. This CPU packs a base clock of 4.00GHz and a Boost clock of 5.10GHz. The information about Intel's Turbos is vague since they do not release info about it anymore, we can only assume that 5.10GHz is with a single core. The chip is compatible with Intel 300-series chipset motherboards. Price wise, the Core i7-8086K has been spotted in Italy for €481 Euro, which is almost 80 Euro more than the Core i7-8700K. However since the CPU is limited to 50'000 pieces worldwide, we believe that will be rather hard to find.